We are in the know!. We look forward to welcoming you in Europe's highest city. We want you to experience true Alpine Golden Moments with us. It will be our great pleasure to assist you in making your stay as memorable as possible. From a safe arrival to a romantic horse carriage ride, paragliding adventures or skiing lessons, we are well connected in the area and will get you the best offer! The InterContinental™ Davos is situated at the entrance to the Flüela Valley which winds through the Rhaetian mountains and is one of the most important lines of communication between Davos and Lower Engadine. 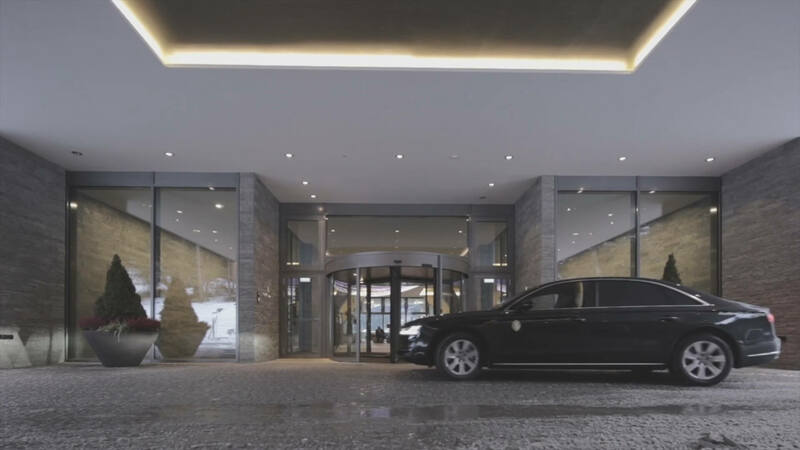 Though being located in the heart of the Alps, the hotel can be reached easily and conveniently by car from Zurich Airport or other major airports. The journey to Davos itself is one of a kind experience as it leads through picturesque mountain landscapes, passing crystal clear lakes and majestic glacier torrents streaming into the valleys. Travelers arriving at Zurich airport, benefit from our recently entered partnership with Europcar. Thanks to this new cooperation, our guests can rent a car one-way without facing additional charges. Upon arrival, the car can be left at the hotel and if needed, picked up again upon departure. Reserve your car directly with us and receive discounts up to 20% on your booking. Arrive in style. Upon request, we will be very happy to arrange a limousine transfer with our preferred agency Edelswiss. Zurich airport is directly connected to Zurich main station. From there, trains to Davos leave in an interval of 30 minutes. The train ride takes 2h15 including one change in Landquart. The closest station to the hotel is Davos Dorf. In order to guarantee a smooth transfer service, please inform us on your arrival time 24 in advance. At the hotel we offer 30 complimentary outdoor parking spots. An additional amount of 108 parking spots are available in our indoor parking which are being charged CHF 30 per day. For e-cars the hotel provides 6 parking places connected to a charging station. Our complimentary Shuttle Service takes you from the hotel to the Parsenn cable car station in less than 5 minutes. Runs daily from 8 AM to 4:30 PM in an interval of 30 minutes. Pick-up point for the retransfer is our InterContinental Snow Lounge. Shuttles to the skiing areas of Jakobshorn as well as other destinations within Davos city can be organised upon request. Transfers to Klosters, Dischma valley or Sertig valley will be charged CHF 80 per trip. Our exclusive snow lounge is located just at the foot of the Parsenn downhill. The cosy lounge offers hot beverages and snacks, ideal for warming up after an exciting day on the slopes. From there, our shuttle bus will take you back to the hotel. Guests are welcome to leave their ski equipment at our spacious storage room featuring 208 ski boot heaters, 30 lockers and 264 ski racks. The room can be entered 24/7 via guest key card. We do also offer our returning guests to store their skiing gear throughout the whole off-season. Please be advised that the hotel disclaims all liability for any damage or loss of personal equipment while making use of this room. Right next to the hotel is the almost four-kilometre long shoreline of Lake Davos. In summer, the temperature of this Alpine lake can be as much as 20°C, providing the ideal conditions for all kinds of water sports. The perfect finishing touch is a backdrop with the natural landscape of the Grison mountains. The natural environment also offers unequalled opportunities for trekking, mountain biking and hiking. As well as being the ideal starting point for all sporting activities, our own in-house Angerer Sport Shop can also supply suitable outfits.